Considering the time and effort that goes into building a new public transportation, mobility becomes difficult in the cities in India. Thus we created a solution which would use the existing private vehicles to help people move around. Private vehicles account for 30% of the total transport demand in urban areas of India. The number of automobiles produced in India rose from 6.3 million in 2002-03 to 11.2 million in 2008-09. An average of 963 new private vehicles are registered every day in Delhi alone. Similar trend is being witnessed across India. Lack of Parking space â€“ It is often impossible to find parking space in markets and other public places, discouraging one from using oneâ€™s own vehicle. Bad Traffic â€“ with the increase in the number of vehicles on road, traffic has become quite chaotic and driving often becomes stressful. Driving not possible for certain individuals – In India, people aged more than 50 years have to undergo strict medical tests in order to obtain a license. The license validity is 5 years. Other than the elderly majority of housewives and physically challenged people are at a loss when it comes to getting a driving license or driving a car. Lack of infrastructure to assist party-goers â€“ Good public transport at odd hours of the night is not easily available. This is a major drawback for people who have consumed alcohol and are not in an appropriate condition to drive back safely home. This prohibits the owners from safely using their personal vehicles in such scenarios. The benefits of an automobile are easily understood but yet these barriers pose a strong challenge towards its use. 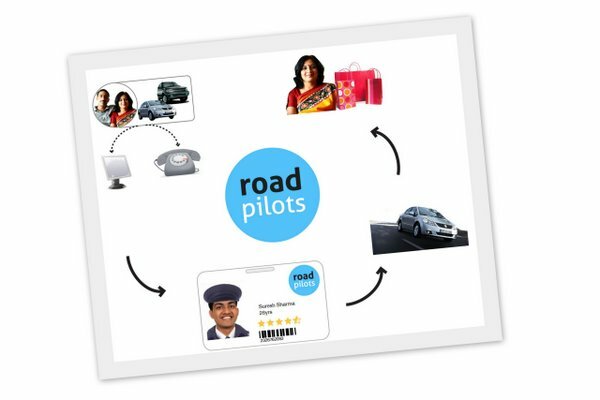 Road Pilots is a unique service especially suited to the Indian urban market to answer the above needs. The service works on a model of renting a driver. Research has shown that a number of households from the metropolitan cities in India have two or more vehicles. It has also been noted that in a number of instances the use of these vehicles is not possible due to the barriers mentioned above. Also a lot of customers having the purchasing power refrain from owning automobiles owing to the problems associated with its use. They represent various segments like senior citizens without valid driving license, housewives who are not adept to drive in the current traffic conditions, people with physical disabilities etc. A considerable number of these do not anticipate a daily use of their vehicle and therefore employing a driver on a full time engagement is not a viable option. Road Pilots comes in as a rescue for not only this segment but are also extremely useful for day to day needs wherein a driver is required for a short term engagement. The customer reaches out to Road Pilots over the phone or the website. He registers himself by verifying his credentials, vehicle details etc. Now anytime the customer requires a driver for a short time engagement he places a request to Road Pilots (either on phone or over the website) mentioning his requirement, origin, destination, time etc. For working women and elderly considering the socio-cultural system in India, one can also request for a female driver. The website also allows the customer to request for a particular driver, as the driverâ€™s profile, rating and feedback from other customers are visible. On placing the order the customer has the option to pay by credit card over the internet or by cash to the driver. A confirmation is sent over SMS and email to the customer with the details of the driver assigned. The email also has the complete profile of the driver. A unique code is also sent to the customer which is used to verify the completion of the service used. He has a small GPS unit which gives his co-ordinates to the Road Pilots office and also helps him in Navigation .The driver drives the customer as per the schedule. On completion of the assignment the customer signs the receipt with the driver and puts down the unique booking number that was communicated to him while booking. This completes the service journey! 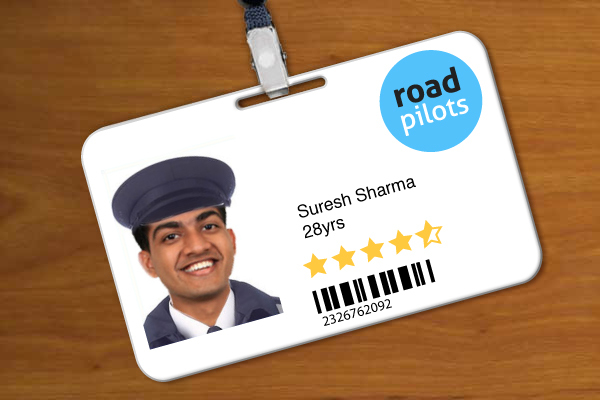 The customer has the option to login to the Road Pilots website and give his feedback on the experience with the driver; this contributes to the driverâ€™s rating. Long drives â€“ there are times when one having his own automobile has to travel to an adjoining city or another city which is at a considerable distance. In such cases one may not be comfortable of this long drive on the highway. Women, children and elderly of the house â€“ In cases where some members of the family have to commute but do not have comfortable or reliable means of public transport, neither can they drive own their own to the destination. Designated driver service â€“ Road pilots would come in as a savior to party going people, who would want to be transported, back home safely along with their vehicles post alcohol consumption. Shopping and parking â€“ at times the convenience of a chauffeur driven car is longed for while shopping in congested locations. To create a service to improve the mobility of people and movement of vehicles in cities in India. The service must be safe, friendly and meant for all ages. Many households in the cities have multiple vehicles. Driving is not possible for the elderly, children and few specially able people. Alongside, women need drivers whom they can trust. No service standards exist in the market for drivers and by and large still an unorganized and unprofessional business.